hours, it will absorb minerals and harden into tartar or calculus. The bacteria can also infect or irritate the gums. This is called gingivitis. When this disease is not controlled, the bone around the tooth begins to dissolve. This is called periodontal disease, and it leads to tooth loss. 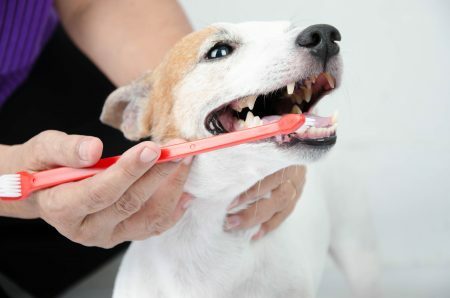 The best way to prevent this is with a team approach of home dental care as well as professional care by your veterinarian. Home care is designed to remove plaque and slow tartar formation. But once tartar accumulates and the gums begin to get inflamed, then a professional exam, cleaning and polishing is needed. What can be used for home dental care? Prescription Diet t/d- This food has been engineered to reduce plaque, tartar and staining of teeth. It is designed so that the kibble does not shatter when chewed like most dry foods. Instead, the tooth penetrates it and the unique texture of the t/d wipes accumulation off of the tooth’s surface. It has been shown that feeding t/d as your pet’s regular food is equivalent to brushing the teeth twice a week. DentAcetic Wipes- Removes plaque by wiping it off with an oral antiseptic wipe. C.E.T. VeggieDent and Enzymatic Chews- These also remove tartar through mechanical action and the C.E.T. enzyme. 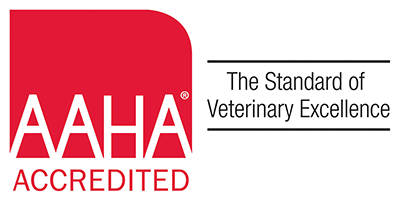 VeggieDent Chews are accepted by the Veterinary Oral Health Council (www.vohc.org ) as effective in reducing tartar and plaque. Dogs that eat dental chews must be monitored to be sure they chew them up and don’t swallow large pieces, which could cause an intestinal obstruction. We have a good selection of dental care products in stock so stop by and take a look at them. Then more you do at home, the less often your pet will need a professional cleaning.